Mark Gordon, co-producer of Netflix’s upcoming Chronicles of Narnia adaptations, was quoted in an OZY article about the growing trend of fantasy epics such as Game of Thrones, which premieres its final season this week . The story originally appeared on Financial Times. In 2017, Amazon outbid Netflix for the rights to The Lord of the Rings. The budget for the series is expected to exceed $1 Billion. Last October, Gordon hinted at the possibility of “both stellar feature-length and episodic” Narnia content. Here is everything we know about the Netflix productions. I know a lot of people are going to be worried when they read this that they’re going to try to make Narnia too much like Game of Thrones or The Lord of the Rings when Narnia is…pretty different. But I’m not going to worry too much yet. My concern is how much Netflix will change the theme, message, and story. Look what they did to Anne of Green Gables in Season 2. Lucy Maude Montgomery would be rolling in her grave. The big difference, in this case, is the presence of the Lewis Estate. There was no such equivalent with Anne with an E. Also, I’m pretty sure that series was sold to Netflix after it’s release on TV in Canada. So Netflix wouldn’t have had any creative control in the project. I wouldn’t attribute the tone of "Anne with an E" solely to Netflix. My understanding is that this adaptation originally premiered on Canadian television, and Netflix acquired distribution rights. I agree with you though; it’s not a good adaptation. Melodramatic, grim, and obnoxious. My wife reread the book before the show came out, was excited, but we got two or three episodes in before giving up on it. But regarding Netflix, this is why the content on there is such a mixed bag. Netflix works more like a bank and a broadcasting company. I don’t think it has a unifying philosophy of what types of media to produce. It shells out money to various creators. Its model is to be all things to all people, to be the one stop for television, making everything from saccharine romantic movies like Lifetime, and then darker edgier stuff like Sabrina or Stranger Things. It’s also produced Oscar-bait films like Roma. Companies like HBO are famous for making graphic content (language, violence, etc.). Netflix, however, isn’t so easily defined. Supposedly they write the check and let the showrunners do what they want. So if there’s anyone to scrutinize, it’s the producers of this new Narnia adaptation, not the Netflix brand. I also watched both seasons of Anne with an E, and found them extremely grim. The book shows Anne as a child who, despite the suffering she went through, as well as some issues with her appearance, still maintains her innocence, faith, hope and other qualities that indear her to her peers. While she has some problems with Josey Pie and some others, she is actually quite loved and appreciated in the town. The series, however, is constantly showing Anne as a traumatized child that is bullied and looked down upon by her peers, with only a few exceptions. This is not to mention the clear modern political agenda, especially in the area of sexuality, inserted into the series, especially the second season. I don’t want to be unkind, but despite watching it, and wanting to like it, I get the feeling that the creators were adapting modern child psychological theories rather than Lucy Mod Montgommery’s book. As stated before, I have read, and truly like these books. They show a girl grow up to be a kind, mature, wise woman, based on the love she received, her faith in God, and the hope she experienced, despite all the suffering and challenges she went through, not a child constantly being tormented by her past, as the series shows. I personally decided not to keep watching anymore of this series after the first two seasons. What do you think? Please feel free to comment. Yes, I rather liked the first season of the new Anne (with a few reservations), but the second season was so heavy handed with its "agenda", I bailed and am not tempted to look in again. Hmm…I don’t know what to think. The thought of pitching Narnia as character stories is interesting. I find this mildly concerning. If the success of GoT is what got Netflix interested in Narnia, I hope that doesn’t mean that they will try to turn Narnia into GoT-lite. Despite a shared medieval fantasy setting, in terms of tone and theme, they really are night and day. The mention of "3,000 characters" also implies to me that they really are aiming at something like a Narnia cinematic universe. Unless the creators are C. S. Lewis fans and have a good understanding of his philosophy, I really don’t want them creating original stories and slapping the Narnia logo on them. One the other hand, we are starved for news, so maybe I am over-analyzing this. This isn’t a surprise. I didn’t read this as him wanting to make the Narnia stories more like Game of Thrones. As a well-known fantasy universe with rich characters, spanning multiple generations, geographies, and civilizations, those comparisons would naturally be drawn. I think Narnia and Game of Thrones are similar in the sense that it’s the world (or universe) that audiences want to continually come back to and spend more time in. Characters and locations change but it doesn’t matter. It captures the imagination and we can really immerse themselves in that world. Regardless of the difference in tone and style. I think that’s the way you sell and market this series. It’s a series about the world of Narnia. Disney made the mistake of neglecting the worldbuilding aspect. Hopefully, Netflix and eOne are confident in the source material and are able to make audiences fall in love with this world. Can anyone confirm Gordon’s comment on there being 3000 characters in Narnia? Erm… the quote clearly says "There were 3,000 characters in Narnia." While I’m 99% sure that there is nowhere near that many characters even MENTIONED in the books, he’s not talking about GoT. I mean that I was confused when you said "He’s clearly referencing the fantasy world aspect of GOT…" I interpreted that to mean you thought Gordon was talking about 3000 Game of Thrones characters when the quote said 3000 Narnia characters. I didn’t think that you were referring to ID’s post because I didn’t see any other comments on it. Were there negative comments on it that got deleted before I saw it? If you look at the CoN character list on Wikipedia, you’ll find about 200… many of which barely figure into the story and are only mentioned. 3,000 was a huge exaggeration on his part, and if you were reading the article as a non-Narnia fan, you’d definitely have some misconceptions about what the books are like. This is riddled with concerns for me. I feel like Netflix was deceived into thinking Narnia is something that it is not. What happens when they don’t get to make the content they wanted? "The pitch was that we would be selling not just one movie or one book as a series. There were 3,000 characters in Narnia." Cool. My excitement for Narnia Netflix just plummeted. Of course, producers and press releases are always making cryptic, vague comments. But, at face value, this doesn’t sound good. The only way I could see this maybe, maybe, working is if the plan is to adapt the 7 Chronicles but also amplify events only off-handedly mentioned in the books. The various battles off screen, or the reign of Queen Swanwhite, or the Witch conquering Narnia, or King Gale slaying the dragon of the Lone Islands. Even then, there’s not much to go off there. Lewis was merely peppering his fairy world with fleeting references of its history. Pithy, intriguing, economical world-building. There is no Narnian Silmarillion. Good heavens, are 7 books not enough? You could make a season out of each book easily; that’s 7 years of content. Look at Game of Thrones: the book series is entirely bloated with characters and plotlines that have never even been referenced on the HBO show. 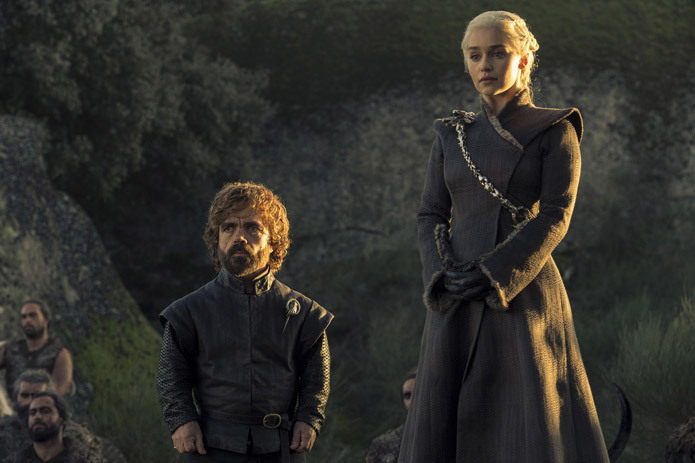 The TV series could have gone on for fifteen seasons with all the extra stuff from the books, but the showrunners are exhausted and are landing the plane with Season 8. So I don’t understand the attitude of "3000 characters" and a "very ripe opportunity." Sounds like overselling and overpromising, to me. Also, I’m not sure audiences really are excited about excesses of content. Remember Solo: A Star Wars Story? It underperformed in a big way. The studio thought audiences would lap up anything Star Wars, but clearly there’s some fatigue or disinterest. So if we’re looking at Netflix creating things like "Trufflehunter: The Truffle Hunting Years," or "Dumnus the Faun’s Grand Adventure"—count me out. Again, Mark Gordon’s word in a random interview isn’t gospel. But it is strange. We’re not seeing stuff like, "We really want to do the books justice." or "the stories are powerful and unique and we’re going to create something that stands out from all the other fantasy media out there." Or "Lewis wrote very special stories and we want nothing more or less than to put them on the Netflix screen for families to enjoy." No, it’s all these weird cinematic universe buzzwords, attitudes like "fantasy is hot right now, like GOT" and "lots of characters!" I don’t know what they’re cooking up. But I feel less interested every time these sorts of comments come out. You wrote: "Again, Mark Gordon’s word in a random interview isn’t gospel. But it is strange. We’re not seeing stuff like, "We really want to do the books justice." or "the stories are powerful and unique and we’re going to create something that stands out from all the other fantasy media out there." Or "Lewis wrote very special stories and we want nothing more or less than to put them on the Netflix screen for families to enjoy." No, it’s all these weird cinematic universe buzzwords, attitudes like "fantasy is hot right now, like GOT" and "lots of characters!" What good points about the comments they could be saying! Oh dear, this worries me. It sounds like the point of The Chronicles is being missed, and plans are being made to assure its being missed by many, many more folks to come. Hmmm… whatever your stance is on GoT, you gotta admit the production design is just plain stunning. The details and costumes and the fact that you can clearly differentiate it from LOTR (by that I mean it doesn’t look like it could exist in Tolkien’s books/Jackson’s trilogy). I think the Walden trilogy struggled a bit with that, which makes sense because they used New Zealand again. That said, I don’t think GoT production design should be used as "inspiration" for Narnia. The show appears to have a lot more man made features (good roads, multiple castles, etc) then would make sense for Narnia’s mostly non-humanoid pollution (or at least before the Telemarines arrive). Honestly I’m just rambling about production design because I have no idea what to think about this news. That comment wasn’t even referring to the Netflix shows. Gordon point is that there are a lot of different characters in the Narnia books. Pretty straight forward. Look, a picture of Trumpkin that was left on the cutting room floor! Honestly, that’s just what I was thinking as well. Wikipedia actually listed Uncle Andrew’s cousin in the yeomanry? LOL. Give them points for thoroughness. Wonder if they’ll do a spinoff about him. No surprise that Game of Thrones influenced Netflix’s decision to get the right to Narnia. Fantasy tv is becoming the latest Hollywood trend. This also still gives me the impression that that intended to make Narnia a "Cinematic Universe" just like GoT, Star Wars, Lord of The Rings, and Marvel. I wish they wouldn’t, I’m honestly getting tired of "Cinematic Universe’s" and I can’t stand the thought of original Narnia stories. My 2 cents: I’ll be “NO FUN” and assert that what Gordon said is nothing to get over excited or angry or even depressed about; It doesn’t surprise me that a Hollywood guy like Gordon would say this stuff. He’s said similar things before. And it doesn’t get me excited for his vision of Narnia adaptations. The only recent words he’s said about Narnia that I connected to was that he thought it was epic but also “tender, personal and emotional”. True, he said that about THE SILVER CHAIR like, 2 years ago (!!) but that was how long ago I remember having some confidence that these Hollywood people had a good interpretation of the Narnia books that would honor them rather than distort them. Yeah, I’m not that worried either. I mean I guess I’m a little cynical since Narnia doesn’t seem to share that much with GOT and LOTR besides being fantasy and involving people fighting each other. But while wanting to make an equivalent to GOT or LOTR isn’t the best starting point for a Narnia adaptation (like Forrest Lybrand I’d have preferred there to be something specific about Narnia that attracted the creators) it doesn’t doom it to failure either. After all, it isn’t like we want Narnia NOT to be fantasy or NOT to involve people fighting each other. I’m glad it seems that they intend on making more Narnia movies, but there are not 3,000 named characters in Narnia. I’m sure if they made all seven movies they might wind up employing 3,000 actors and extras by the time they were finished, but it is not Lord of the Rings. You could write a story about Swanwhite’s reign, the hundred years of winter, or Caspian IX, but it would involve characters that we never actually read about in the books and it would be a search to find someone who could think like C.S. Lewis and make these characters distinctly Narnian. Even if they wound up writing too much extra content that didn’t feel Narnian, it would be worth it if it meant we got good adaptions of the seven books. I’d speculate that the "3,000 characters" comment by Mr. Gordon was an off-handed generalization he made off the top of his head. Maybe he actually loves these books as much as the rest of us do (Hi, by the way. I’m new. ), and was busy and needed an apropos summation of why Netflix snapped up the Narnia film and TV writes to make a nosy reporter go away. I clicked on the link and glanced through the article. It’s completely about the coming "content wars" in the wake of the oncoming departure of GoT. Narnia is mentioned exactly twice, both instances being quoted in the narniaweb.com blog post. We are indeed starved for news, and if Netflix has a proper handle on what’s going on, I would suggest that it ought to get somebody (Douglas Gresham, maybe?) to cut a video announcing the project and feed that to the greater Narnia fanbase, not-to-mention the greater faith-based media world that sent the 2005 movie to success.